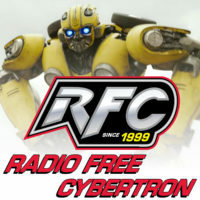 Radio Free Cybertron 599 – The 599th Episode Spectacular! MP09 gets reissued. Should you buy? It’s a Christmas miracle: The one Transformers Studio figure we all agree on! Also: potential Siege rumors, Bumblebee, and then things go down the toilet–but not in the way you think.